Learn more about transition assistance opportunities for transitioning Servicemembers. Learn more about VA's Vocational Rehabilitation and Employment program if you’re a Veteran who is unemployed, looking for work, or in need of training to qualify for a job. The Fully Developed Claims program ensures our nation's heroes receive the benefits they deserve through quicker and more accurate decisions. 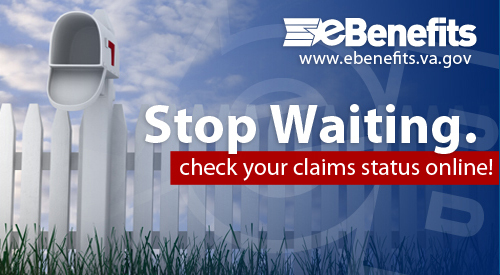 View your compensation or pension claim status in eBenefits and find out what we have done with your claim and where it is in the claims process. Prepare for your next mission by accessing services you may have earned under the Veterans Opportunity to Work (VOW) program and other VA training and career assistance programs. Make your move from military to civilian life a success and get the training you need to thrive in your next career. If you’re an employer, consider hiring our Veterans—they’ve got the strength, character, and skills that you’re looking for. With Transition Goals, Plans, and Success—Transition GPS—Servicemembers transitioning to civilian life receive career guidance, training, and counseling assistance that promotes success after service. If you’re a Veteran who’s unemployed, looking for work, or in need of training to qualify for a job, VA's Vocational Rehabilitation and Employment (VR&E) program may be able to assist you. Employers who hire Veterans with disabilities can earn tax credits and other incentives.